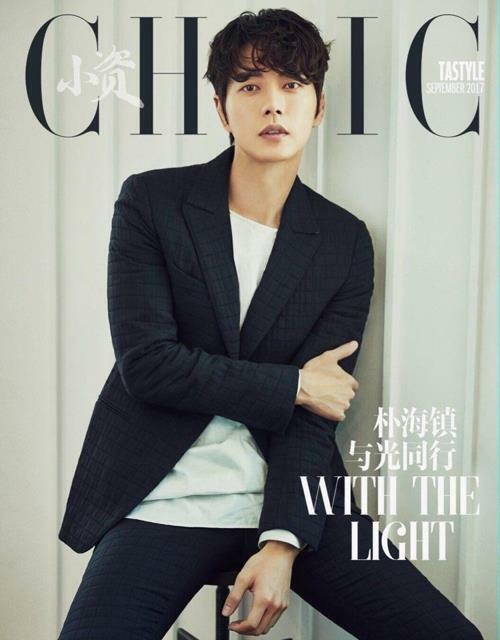 SEOUL, Oct. 25 (Yonhap) — South Korean actor Park Hae-jin has been chosen as a cover model for a popular Chinese style magazine, his agency said Wednesday. The monthly magazine Xiaozi Chic picked Park for its November issue’s cover model despite an industrywide atmosphere against using Korean celebrities because of the frosty relations between Seoul and Beijing over the deployment of an anti-missile battery known as THAAD. Mountain Movement said the magazine had requested the 34-year-old actor appear on its cover since last year. The star of “My Love from the Star,” “Cheese In the Trap” and most recently “Man to Man” rose to stardom in China through “Qian Duo Duo Marry Remember” on Hunan TV in 2011. He is set to shoot a new TV series, “Four Men,” in November. Which network will air the romantic thriller hasn’t been decided yet.